Most women will experience a sharp breast pain at some time or other, and in spite of the fact that it is a common complaint, it can still cause considerable worry. Therefore, to learn about some of the reasons that cause this experience can be beneficial, so that if you are ever affronted with it, you are less likely to panic. Read on to improve your understanding about this condition, and find out about how the pain can not only be alleviated, but possibly even stopped altogether. 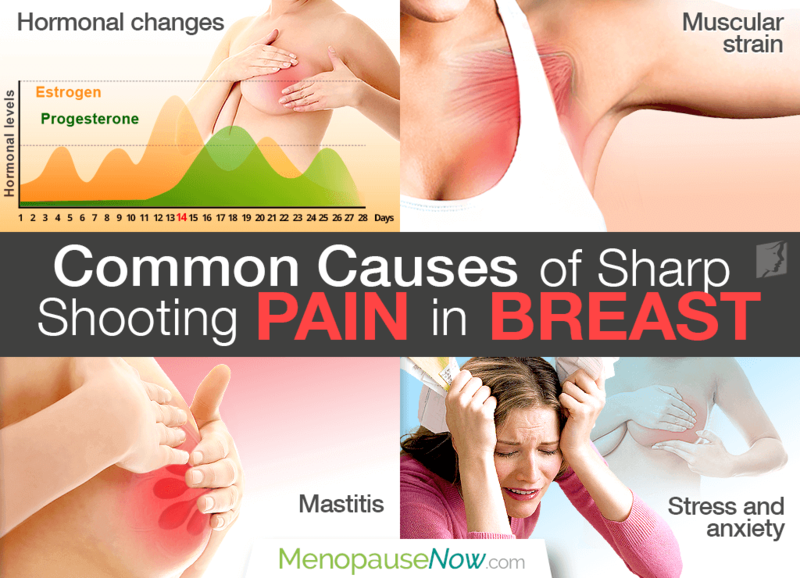 What Causes Sharp Breast Pain? Hormonal changes. The monthly activity of reproductive hormones can impact on the composition of breast tissue, which is why many women experience sharp breast pain at specific points of their cycle; most commonly ten days to two weeks before their period. Muscular strain. An important muscle - the pectoralis major - exists in the same area as the breast, and if damage is done to this through lifting or strenuous exercise, the pain can radiate to the breast. Women with larger breasts are at a higher risk of straining this muscle, due to the lower amount of support. Inflammation of breast tissue. If the tissues that make up the breasts become inflamed, either due to infection or trauma such as injury or surgery, this can lead to quite an intense shooting pain. Stress and anxiety. When going through difficult experiences, it is possible for emotions to manifest themselves in the form physical pain - and for some women this could be a sharp breast pain. How Can Shooting Breast Pain Be Treated? Relaxation. To limit pain caused by stress or muscular strain, it can be helpful to take time to relax such as in a hot bath, or by getting a massage. Heat pads or warming pain relief ointments may also be successful. Herbal supplements. Some women find that the regular consumption of a natural supplement is largely helpful in decreasing shooting pains in the breast. These are usually designed to restore hormonal balance. Anti-inflammatories. Whether in the form of a pill or cream, and anti-inflammatory can be administered to soothe sharp pain caused by damage and inflammation to muscle tissue. A sharp pain in the breast is often alarming, and can momentarily stop you in your tracks. Fortunately, the pain is usually short lived, but even so it can be concerning, and so it is worth finding out about why it might happen, and how best to manage breast pain.